Who would not desire to possess an upper body that is strong, toned and well-built? That the bench press exercise can do wonders when it comes to developing a strong upper body, is known to all. 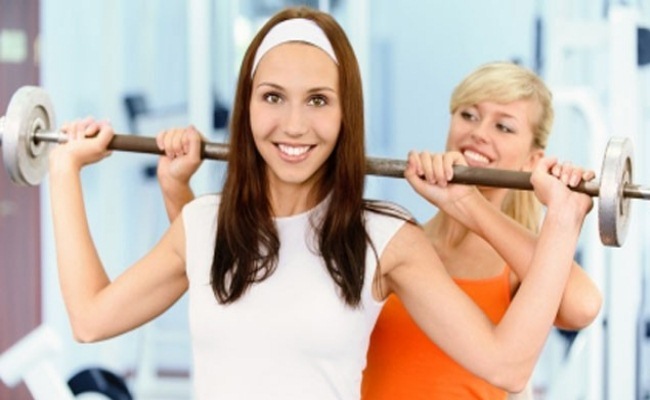 A work out for the entire body would include quite a few numbers of exercises that would involve weight lifting. However, increasing your upper body strength is not a seven day job. It can be achieved only with constant hard work, which would include devoting a significant amount of time at the gym. One must begin at home first, with doing pushups on a daily basis. 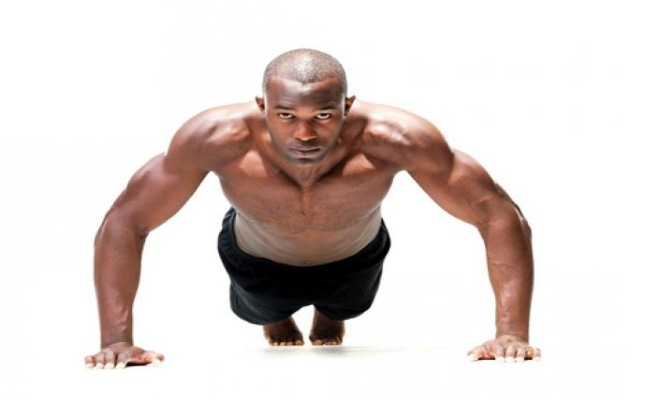 The standard pushups boost up the development of the chest muscles and triceps by a significant amount. Judge your body on fitness scale and determine the number of pushups you can perform at one go, and continue the exercise for a week.Then, in every week that follows, add about five pushups to every sitting. Gradually you will realize that you can do pretty good number of pushups, than what you did in your first sitting, and that too, very comfortably. This is an indication towards the increased strength of your upper body. A work out, especially for the triceps is very important. Those who desire a strong upper body, they must take up curls and bench press exercises. Strong biceps enable an individual to lift more amount of weight, resulting in making the upper body stronger. Among simple exercises, sitting triceps extensions and laying work wonders as work outs for strong triceps. Lifting exercises must be performed to strengthen the shoulders. The upper body is not just comprised of the chest muscles, triceps, and biceps.Shoulders also form a part of it. 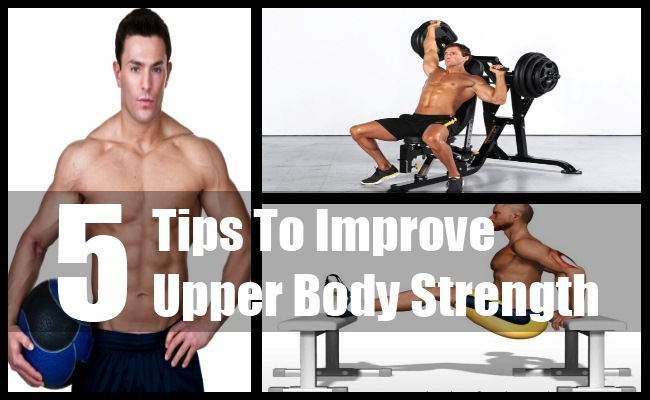 In order to have a strong upper body, it is very important that shoulders possess the required amount of strength. One could say that broad, well built shoulders garnish the upper body. The shoulder exercises that can be performed easily would include lateral and overhead dumbbell presses. Shoulders can be strengthened by working out on a rowing machine as well. Bench press exercises can be performed by using a pair of dumbbells, an inclined plane, or a flat bench. This variation in the heights while performing the bench press exercises provides the chest muscles with a complete work out, thereby adding to the upper body strength. While you exercise with the dumbbells, the normal bench press weight must be halved, in order to know the right amount of the weights that must be lifted. A person with the normal bench press weight of 120 pounds must use two dumbbells weighing 60 pounds each. 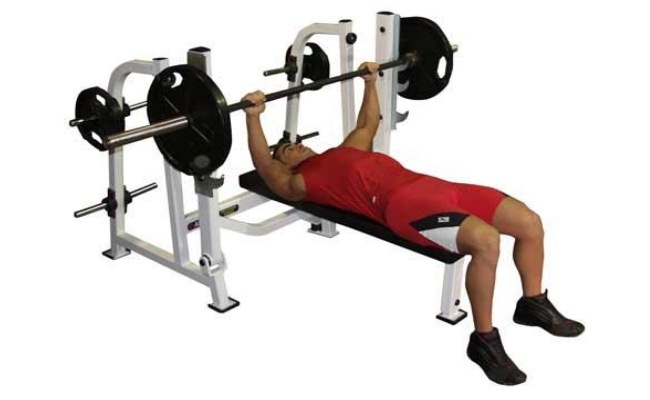 The various bench press exercises must be performed according to a proper routine. Since these exercises are not performed by using machines, it is important that you know that the exercise is being performed in the right manner. Therefore, you must have a spotter who would watch you exercise. Also having a person around proves to be helpful in case of accidents, to avoid injuries.